Community Visioning Workshop. The workshop was held on June 23, 2018 to develop a vision for Sausalito's future. Community members participated in group exercises where they identified major priorities for the City over the next 20 years and refined the existing General Plan goals to reflect these priorities. Group posters can be accessed by clicking the image below. Other materials from the workshop are also available below. Preliminary Community Priorities. Appendix reviewing all General Plan considerations to identify broad community priorities for GPAC review and discussion is available here. Waterfront Walking Tour. Audio files from the Waterfront Walking Tour held on November 4, 2017 are available here. Brief descriptions for each stop along the Waterfront Walking Tour are provided here. Marinship Walking Tour. Audio files from the Marinship Walking Tour held on October 27, 2017 are available here. Brief descriptions for each stop along the Marinship Walking Tour are provided here. General vs. Specific Plans. A memo providing a brief overview of the roles of three planning tools: the General Plan, Specific Plans, and the Sphere of Influence is available here. General Plan Regulatory Issues. A memorandum providing an overview of governance structure, and the legal requirements and opportunities available to Sausalito when updating its General Plan is available here. Work Plan. 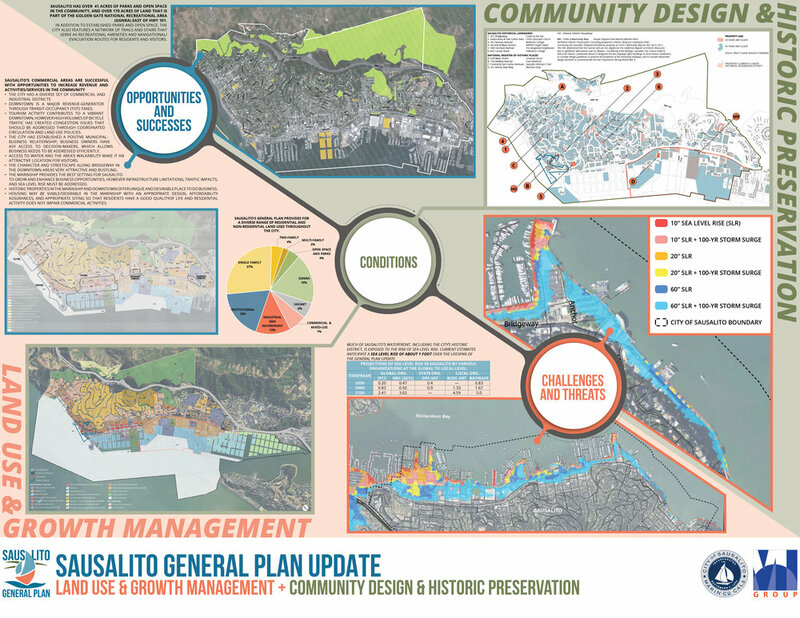 The Sausalito General Plan Update Work Plan is available here. GPAC Mission. 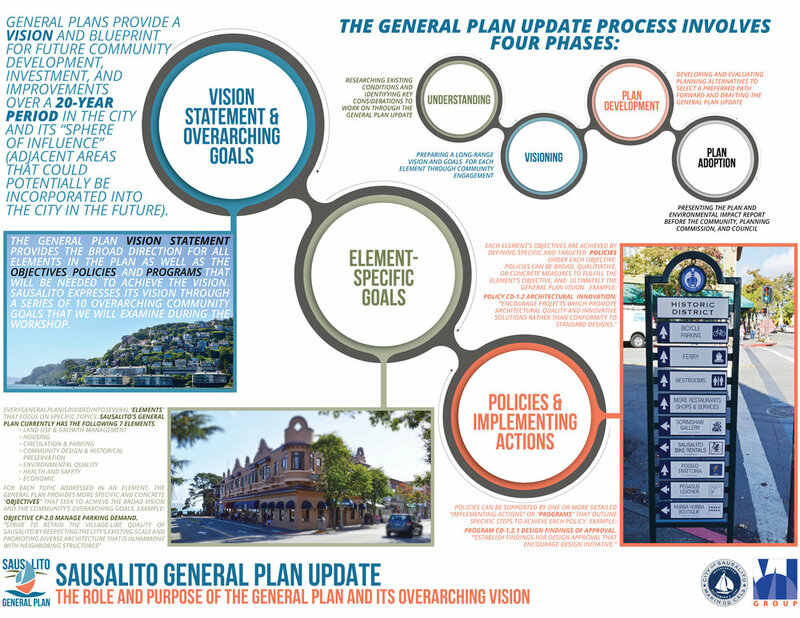 The Sausalito General Plan Advisory Committee (GPAC), a Council-appointed committee consisting of 13 members, is an advisory body serving the Sausalito community through the General Plan Update process. Read the GPAC's mission statement here. Community Outreach Program. The Community Outreach Program has been developed to ensure that the needs and vision of the community are reflected in the General Plan Update. Read more about the Outreach Program here.